There's nothing worse than seeing those flashing lights in your rear view mirror and knowing they're directed at you. As you pull over, however, it's important that you handle the situation properly. In some cases, the officer might be pulling you over to warn you of something minor: a tail light out, late registration, or some other minor issue with your vehicle, for example. In others, the way you behave may influence whether the officer gives you a ticket or lets you go — or at least reduce the severity of the violation you're given. 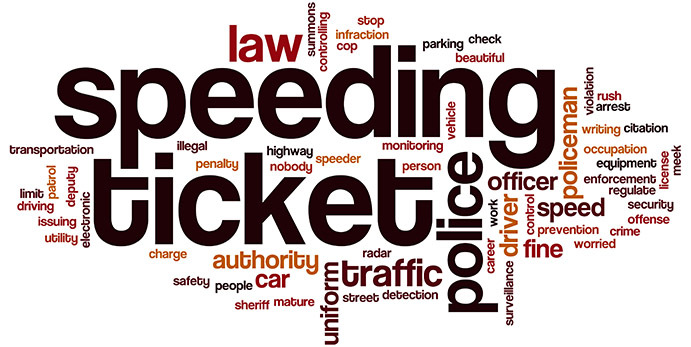 If you're pulled over, make sure you do these five things to reduce the severity of your citation or even get you a warning instead of a traffic ticket. It might not matter to you where you stop, but it does matter to the officer. Many police officers die every year as a result of roadside accidents. When you've been pulled over, don't just pull off the road immediately — especially if it has a narrow shoulder or little room for your vehicle, much less for the officer to stand between it and the road. Instead, put on your turn signal or hazards to signal to the officer that you intend to comply. Then, find a wide, safe area if at all possible. You don't want to keep driving indefinitely — pulling off the road quickly is advised — but you can choose a safer location for the officer. Many officers are all too aware of the hazards associated with pulling over the wrong person. Shut off the vehicle and any music. Make yourself highly visible, ideally by turning on the light inside the car, to make the officer more comfortable and let him or her know that you're not scrambling to take care of something else, like hiding contraband or getting out a weapon. Rolling down your window is the easiest way for you to communicate with the officer. If possible, roll down your window while they're on their way to you so that when they get there, they'll be able to speak with you easily. If for some reason you aren't able to roll down the window — a broken automatic window system, for example — make sure that you communicate this clearly to the officer when they arrive at the door. Don't make a move to open the door or do anything else unless you're told to. When you pull your car off of the road, place your hands on the steering wheel in easy sight rather than immediately reaching for your glove box, purse, or wallet. Keep them there, without reaching for anything, until the officer tells you to do so. This helps increase the officer's confidence and sense of safety. Once they've told you to get out your license and proof of insurance, you should inform the officer of where you keep those items and confirm with the officer that you intend to reach for those items. Once the officer has verbally confirmed that he or she knows what you are doing, then you can feel free to go after those items. Immediately place your hands back on the steering wheel once you have handed your information to the officer. There are plenty of tactics that supposedly get you out of a ticket: crying or flirting by women, for example. When it comes right down to it, however, being polite to the officer when they pull you over is much more effective. Be respectful, follow instructions, and mind your manners. Avoid the urge most people have to ramble when they are nervous. Answer in simple yes or no answers and don’t make excuses or offer up lengthy statements about why you “weren’t doing anything wrong.” Ultimately, this will go much further in keeping you out of trouble than any tactic you can attempt — especially since the success of the tactic will depend on the officer in question. When you observe traffic laws and keep your car in working order, getting pulled over is a rare occurrence. Even the best drivers, however, occasionally miss an important traffic rule: they'll find themselves speeding when they thought they were observing the speed limit, sail through a stop sign, or fail to yield in the appropriate space. When you do get pulled over, following these key steps will help the traffic stop move more smoothly.